The global strategy organizing management assignment is a new concept that has been in recent works for most of the researcher. The global strategy is popular among managers of the multinational corporations. This article aims to deliver a detailed knowledge and framework of the global strategy to the managers of the managers of the multinational corporations. The objective of this article is to formulate a framework which will support the managers as well as the researchers to address the issues that arise from global strategic management (Ghoshal, 1987). The author in this research has pointed out numerous perceptions about global strategy. 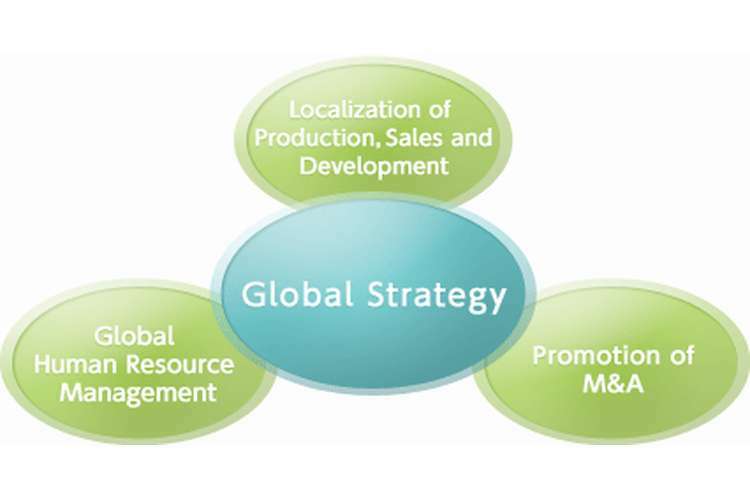 The most prominent definition of global strategy is presented by Hout, Porter, and Rudden, in this article which states that global strategy is generally adopted by the global industries in one national market within a competitive set up where the operations are influenced by its competitive situation in other national markets. This article provides a conceptual framework which covers different areas and issues under global strategies. The author of this article has presented different views, opinions and researches of scholars about global strategy (Cuervo-Cazurra, 2011). In an effort by the author to put forward a clear and concise concept of global strategy he had presented an overview of the different works of the authors who had prescribed the way to manage business globally by the managers. There is little scope for the managers to understand the application of the global strategy in their daily business operations within the MNC set up. Thus, the article provides little or no managerial implication although the author had presented an organizing framework to implement the global strategy by the MNC managers. There are scanty researches that have explained or formulated an appropriate or effective global strategy framework for the managers. It is important to know that the objectives of MNCs are multifaceted and often contradict each other. In one instance the author has described the challenges in prioritizing these objectives. The author had suggested that strategic actions directed towards a particular objective might disrupt or impede another equally valuable and important objective. This research aims to develop an integrated analysis of different means and ends which would be useful for the managers and the researchers to frame, describe, categorize and analyze the different global strategic objectives. In this article, the author has formulated a global strategy framework through a 3×3 model. The framework is built on three strategic goals and three sources of competitive advantage. The competitive advantage can be sourced by developing the differences in the different input and output markets in different countries, utilizing the economies of scale and exploitation of the economies of scope. The national differences outlined two concepts for exploiting the input markets and the output markets. The comparative cost advantage forms the basis of capturing the input market. The author suggested that the different country has different factor intensities and that it is important for countries to realize their comparative advantage and allocate the resources according to maximize their output (Chang & Pillania, 2010). This requires for the firms to focus on their value chain analysis. The author could not provide a relevant theory for this kind of relational differences. One of the most prominent theories of international trade is the Heckscher-Ohlin Theory. This H-O model underpins the concept of a comparative advantage just like the author and highlighted the significance of national differences. H-O model states that if a country is labor abundant then it must produce and export labor-intensive goods. The opinion of the author correspond to this very theory but again this theory was extended into what is called the Leontief Paradox, where the most developed and capital abundant country produces and exports labor-intensive goods which clearly violates the notion of H-O theory (Nyahoho, 2010). The second concept is the exchange value of the output which will help the output market to deliver products based on the requirement of the multinational consumers (Beckham Gramm, 2004). Microeconomic theory s believed to provide an empirical and theoretical basis of the scale of economies which is the second source of competitive advantage. Here the firm must expand its output to the level it is able to acquire scale benefits but the scope economies is rather a new concept in which the author suggested about the concept of sharing knowledge, management skills capabilities and technologies of two companies who produce two different products (Asai, 2006). This would occur if the cost of producing single product separately is more than the cost of producing the two products under single knowledge sharing principle. The author had provided several examples of MNC companies like Coca-Cola, IBM, and Citibank but the concept of mergers and acquisitions is invariable in this respect. Companies like Dell and EMC Corporation is a recent and popular example of scope economies where Dell had purchased EMC Corporation on the basis of sharing knowledge, production and management capabilities (Kongpichayanond, 2009). Thus, the scope economies have not been fully exploited by the author in this research (Carey, Burgess & Young, 2014). The author in this research could not incorporate some relevant global strategic management objectives. The most important one is the analyzing the international market and making a country choice. Two of the factors that are already included in this article are the consumer demand and competitors' analysis. The article failed to consider the aspect of international and regional infrastructures. According to Cepolina & Farina (2015), the costs of the MNC include the cost of communication, transportation, and distribution in the different countries around the world (Cepolina & Farina, 2015). The concept of comparative advantage is a cost advantage that does not incorporate these three types of cost. The second aspect is the country politics and the economic trends. Though the author had identified numerous risks but it did not mention the political risk and the economic growth trends in the country selected for global operation. The last factor that never gained importance in this article is the international trade barriers (i.e., tariffs and quotas). The tariffs and quotas are like trade taxes which increased the price of the product to the respective countries that had imposed the restrictions. Thus, for an effective global strategy framework, the cost of international and regional infrastructures, political risks and international trade barriers must also be incorporated (Kiyotaki & Miyakawa, 2013). The author concluded by stating that the aim of this article is to propose a framework that would benefit the MNC managers to review and analyze the global strategies of the firms. The article is not a blueprint rather it can be treated as a road map for reviewing strategies. The author had formulated three arguments which include the lack of determination of the industry structure, overlapping of the strategic objectives and sources of competitive advantage and the lack of importance imposed on the issues of risks and learning objectives (Tallman & Pedersen, 2011). The overall focus of the article is efficient as the author has highlighted the internal strategic objectives of the MNC which intended to help the MNC managers to address the issues of the global operations. The limited scope of literature on global strategy and determination of its framework has made the research difficult for the author (Nachum, 2012). The author had made an effective attempt in formulating a global strategy framework that highlighted the strategic objectives and sources of competitive advantage but t has been proved by several contradicting literature that the emphasized on the issue of overlapping objectives which is not really possible to resolve. This is because an international transaction or business operation has substantial repercussion effect which is normal. But there are certain factors like improved cost structure, political risks and international trade barriers, which has already been discussed must be incorporated within the framework of global strategy. In this way, a strong global strategy would be developed for the MNC managers to function efficiently and effectively (Peng, 2012). Asai, S. 2006. Scale economies and scope economies in the Japanese broadcasting market. Information Economics and Policy, 18(3): 321-331. Beckham Gramm, T. 2004. factor reallocation costs and tests of the heckscher-ohlin trade theory. The International Trade Journal, 18(3): 147-176. Carey, K., Burgess, J., & Young, G. 2014. economic of scale and scope. The zase of specialty hospitals . Contemporary Economic Policy, 33(1): 104-117. Cepolina, E., & Farina, A. 2015. A new urban freight distribution scheme and an optimization methodology for reducing its overall cost. European Transport Research Review, 7(1). Chang, J., & Pillania, R. 2010. Internationalisation and global competitive advantage: implications for Asian emerging market multinational enterprises.International Journal of Business Environment, 3(4): 372. Contractor, F. 2012. Why Do Multinational Firms Exist? A Theory Note About The Effect of Multinational Expansion on Performance and Recent Methodological Critiques. Global Strategy Journal, 2(4): 318-331.